The (male) Religious of Our Lady of Sion have the same name as the sisters and were founded by the two brothers Theodore and Alphonse Ratisbonne. They were Jews from Strasbourg and became Christians and Catholic priests in the middle of the 19th century. Alphonse’s sudden conversion in Rome on January 20, 1842 in the church of Sant’ Andrea delle Fratte was perceived by both brothers as “a bright light shining on the destiny of their people Israel” and as “a sign” of God’s will that a group be founded in the Church to work apostolically among the Jews. Already in 1848, the Ratisbonne brothers’ project had led to the establishment of the Congregation of the Sisters of Our Lady of Sion, but for men it first remained in the form of a Society of Priests of Our Lady of Sion; this Society received the approval of Msgr. A. Sibour, Archbishop of Paris, on June 21, 1855. Only after the death of the Ratisbonne brothers did their companions succeed in transforming the Society to a religious congregation, which was then called the “Congregation of Missionary Priests of Our Lady of Sion”. The rule was approved on July 27, 1893, by Cardinal Richard, Archbishop of Paris. Alongside the development of the Congregation of Sisters of Sion in Europe, Africa and the Middle East, the Priests of Our Lady of Sion founded their own works and houses in Paris, Jerusalem, London, São Paulo, Tunis, and Smyrna. The time had not yet come for a positive way of seeing the presence and role of the Jewish people in the world and in the history of salvation. Urged on by a new superior general, Fr. Théomir Devaux, from 1925 on, the mother house at 68 rue Notre-Dame des Champs in Paris became a center of reflection, of information and of communication through the publication of a review, “La Question d’Israël”, which continued until 1939. After the confiscation of its library by the Germans a few days after the Nazi occupation began, the Paris house became a place of refuge and of transitory shelter for Jewish children threatened by the Nazis. Our Fr. Devaux, with the help of generous friends, organized the rescue of more than 500 Jewish children. The Medal of Righteous Gentile, awarded him posthumously on August 6, 1996 in Paris, testifies to his activities. After the war, the team of religious in Paris, led first by Fr. Devaux, then by Fr. Paul Démann, set up a center of studies and documentation that published the “Cahiers Sioniens” from 1947 until 1955. The center’s activities and the spread of the Cahiers Sioniens contributed towards preparing the Second Vatican Council and the radical revision of the Christian attitude towards Jews and Judaism. In other respects, the small congregation benefited from developments in the Church. It again focused on religious life; it took the name of Congregation of (Male) Religious of Sion, and redefined more clearly its own charism. 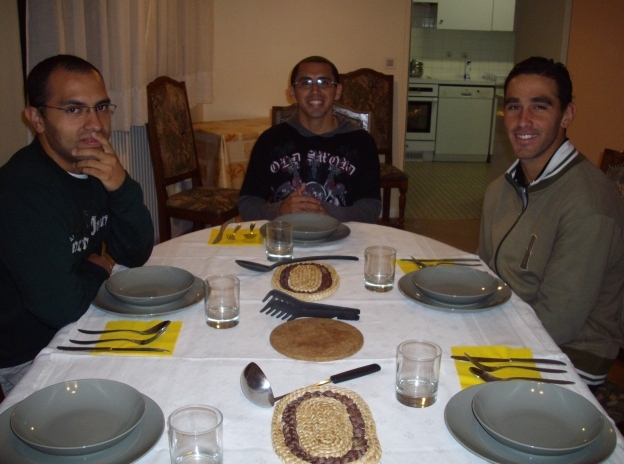 The congregation’s aim is to be witnesses in the Church of God’s love for Israel. This demands that the religious know and make known through their studies and their teaching and in their pastoral and cultural activities the religious, human and spiritual values lived by the Jewish people. The congregation includes some forty religious, of whom some thirty are priests; they are spread out over several houses in Brazil, France and Jerusalem. 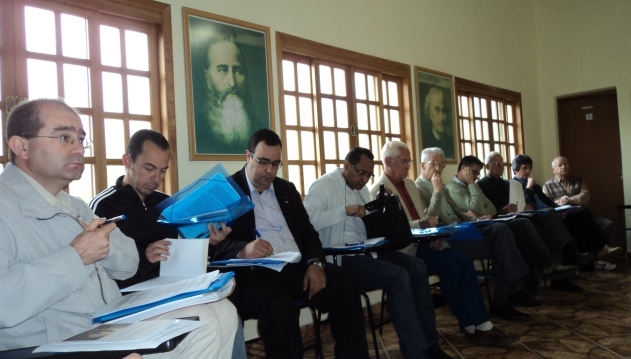 In Brazil: one house for aspirants and another for postulants; a novitiate and then a house for the religious receiving theological formation; the generalate, the Christian Center of Jewish Studies (CCEJ) in São Paulo, two high schools, and several parishes. And finally, last but not least, a team for vocation discernment, for which Fr. José Maria Leite is responsible. In Paris: a community animating a center for Jewish studies, where there is a specialized library; the center welcomes young religious who are receiving formation. 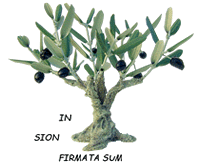 In Jerusalem: two communities, including the one that founded the Christian Center of Jewish Studies (Saint Peter of Sion – Ratisbonne), which became a Pontifical Institute on May 21, 1998; this community accompanies the development of these studies. The other community is at the house of Our Lady of Sion in Ein Karem, a beautiful guest house of the Sisters of Sion where brothers and sisters of Sion work together. Other foundations are desired. God willing, they will be in other countries and will be places of work for those who, in spite of their small number and the difficulties they encounter, believe in the value of their vocation.